With nothing but brains, ambition and sheer nerve, Charlotte Hale built a career as a tough, savvy real-estate developer. Her reputation is rock-solid...but her life is empty. One terrifying day, facing her own mortality, she realizes that her ambition has almost destroyed her chance at happiness. So Charlotte vows to make amends, not simply with her considerable wealth, but by offering a hand instead of a handout. Putting in hours and energy instead of putting in an appearance. Opening her home and heart instead of her wallet. 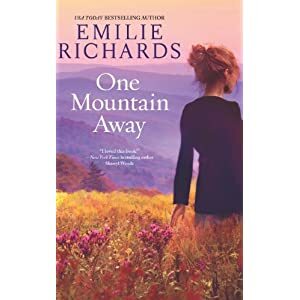 With each wrenching, exhilarating decision, Charlotte finds that climbing a new mountain-one built on friendship, love and forgiveness-will teach her what it truly means to build a legacy. I LOVED this book. I highly recommend it. Grade: A.
I know, that's usually the way I end reviews, not the way I start them, but I'm that glad I got a chance to read One Mountain Away. Charlotte was born Lottie Lou, and her mother died when she was a child, leaving her in the care of her drunk father and her grandmother. Her grandmother died shortly after she graduated from high school and she fled her small hill town for the big city of Ashville where she eventually became a wealthy property developer. When diagnosed with a fatal illness, she realizes that no one will mourn her passing, and sets out to change that. Her first decision is to take in a waitress from her favorite coffee shop--she finds the waitress sleeping in her (the waitress' ) car. A major character in the book is Analiese, Charlotte's pastor. Charlotte mentions Analiese talking about non-Christian spiritual traditions at church and Analiese's vestments at one point include a Buddhist symbol, so Analiese is certainly not the stereotypical pastor shown in Christian fiction, even if you get past the fact that she is female. However, she is a good friend and guide to Charlotte. She's the kind of person I'd want walking a path like that with me. One thing that struck me in this book was age. Charlotte is 54; I'm close to that. Her daughter has a child my daughter's age. Even without the illness, Charlotte seemed so old, so did her daughter's father, yet they are my age. Our society values youth so much, it is hard to start seeing yourself as other than young. I'd like to thank the publisher for making a review copy available via NetGalley. It appears that it will be the first book in a series about women helping women. I have two posts that may be of interest to most of you all. 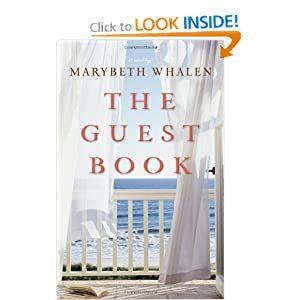 I reviewed a Christian book called The Guest Book. My Top Ten Tuesday post was about old posts from this blog. Catholic-type posts that made that list were "Why I Read", "My Review of God's Prayer Book", "Our Lady of the Lost and Found", "The Silence We Keep". Hope everyone has a great Fourth of July this week. Former Navy SEAL Lucas Chaffee is settling back into civilian life, refurbishing a farmhouse for an old friend who plans to turn it into a culinary school. Celebrity TV chef Madeline Durand has been publicly humiliated by a philandering husband. So Madeline jumps at the chance to return to Shelter Bay to recover and help her grandmother turn the family farm into a new business. Little does she know that the man who broke her heart years ago is already on the job-or that he's going to cook up a recipe of passion, patience, and perseverance to win her over. 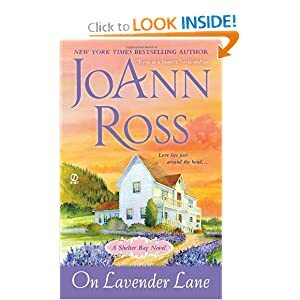 While this was an ok read if a mindless romance is what you are seeking, it isn't very realistic. Maddy is a celebrity TV chef who is married to a chef who owns a chain of high-dollar restaurants. Everything she does is to support him, though she married him seeking a partnership. When videos of him cheating end up on You Tube he dumps her for a richer woman and she runs home to her grandmother to lick her wounds. While there she runs into her high school flame, the ex-SEAL. 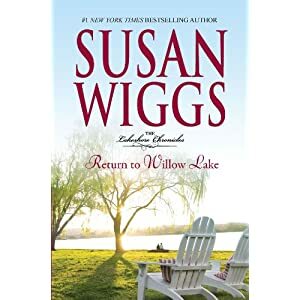 The book contains a sub-plot about an abused woman who flees her home in Colorado for a battered women's shelter in Oregon. She escapes her home via an "underground railroad" and is living under an assumed name. She was a young woman swept off her feet by a rich handsome man,a man who came to control her every move, a man who physically abused her. I could see a lot of parallels between her and Maddy; though luckily for Maddy, her ex, while a jerk, was not violent. This subplot provides the climax for the book but I found the scene highly unrealistic and it left more questions than it answered. I think this woman's story would have made an interesting book. If she and the guy she is with in this book end up as the main couple in another book, this part of the story will need to be retold. I've been known to complain that a Christian novel was preachy, or a sermon wrapped up as a story. Well, this isn't a Christian novel, but if environmentalism/green/organic food was a religion, I'd classify this novel as preachy. They discussed those topics ad nauseum. The book contains plenty of lust and lusting to go with the love and when Maddy and Lucas do finally end up in bed together, readers get to watch. 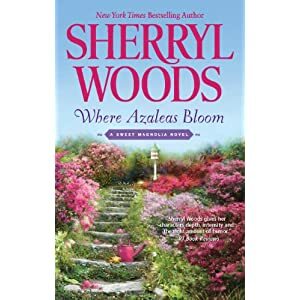 While there are certainly "hotter" books out there, the scene is too descriptive to be described as a lot of flowery language only. All in all, I'd say the book is an ok mindless read if that's what you are in the mood for, but there are better romances out there. Grade: B-. I purchased this book with my own money, so I certainly can say whatever I want about it. This was a sweet story of death and new life. Beginning with an annual family dinner to celebrate Macy's father's birthday (so what that he's been dead for ten years) this book looks at how the premature death of their father/husband has affected the lives of those in Macy's family, and how they finally, with help from God and his servants, move on with life. Macy is a single mom. Her daughter's father left them five years ago, and has just reappeared. He'd like to pick up where they left off, but she's not sure that's what she should do. Macy is an artist who practices her trade painting signs for the grocery store in which she works. Life has been a struggle since her daughter was born, and even before that. Her dream is to meet the boy (now a man) with whom she used to exchange drawings via the guest book of the vacation house in which they stayed every year. She doesn't know who he is, but somehow she felt he really understood her like no one else ever did. This year Macy's mother decided they were all going back to the beach house in which they used to stay. It was time to move on with life and this part of their old life was where they were going to start anew. Macy starts to look for "the artist" and comes up with three possible men. She, who has never dated much, now has three men interested in her. Who will get the girl? Are any of them "the artist"? I won't spoil the story. I will say that the ending was happy and sweet but that I'd be seriously concerned about anyone I knew who let a childhood dream play that much of a role in adult reality. The book is Christian fiction, and on the religious side. One of the guys she sees is a minister and he helps both Macy and her brother come back to God. We hear Macy pray. We go to church with the characters. In short, if you don't like religion in books, there is way too much of it here; however, it is well integrated into the story. I'd like to thank the publisher for making a review copy available via Edelweiss. I was not obligated to write a positive review, or any review. Grade: B. One thing I like about the new Blogger interface is the fact that it keeps track of the number of times individual posts are accessed. As I understand it, if you are reading this post because you check my blog every day and are able to scroll through multiple posts, you are not "counted" as having read this post. If, however, you are reading this because you followed the Top Ten Tuesday link, or whatever other direct link to this post, or if you found it via search engine and came right here, then you are counted as having read it. 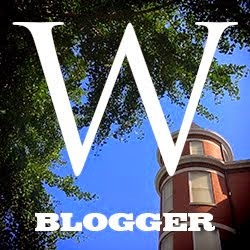 I've been blogging since 2005 but did not become a serious book blogger until 2007. I thought it would be fun to look at the stats for my early posts and see what registers as more popular than other posts from that era. I'm posting 12 links because when I went through three pages of old posts, that's how many I found that were noticeably more popular than other posts from that time. Why do I think these posts are popular? Some review books by popular authors. Some have titles that get googled a lot. Others inadvertently had good SEO (Search Engine Optimization). What do you think? What do you think? Has my blog changed over the years? For better or for worse? This month, Mailbox Monday is hosted by Burton Book Review. Bloggers list books that arrived in either snail mail or email. My daughter and I had a good time visiting The University of Louisiana--Monroe, Louisiana Tech, Northwestern Louisiana University, University of Louisiana--Lafayette and Nicholls State University. Her favorite before we left, and after the trip as well, was Northwestern. Luckily it is also the school that seemed most likely to offer her a substantial scholarship. It is a relatively small school on a beautiful campus in a small town in the middle of nowhere. She thought ULL was too big (the same complaint she has about LSU) but said she could be happy at any of the others. It seems hard to believe that a year from now we'll be getting ready to help her leave the nest. I managed to get some blogging done this week too. 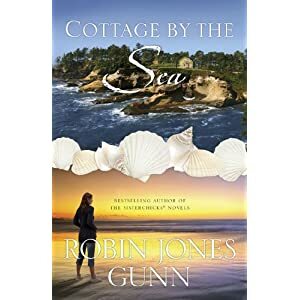 Cottage by the Sea is about a woman whose father is dying. 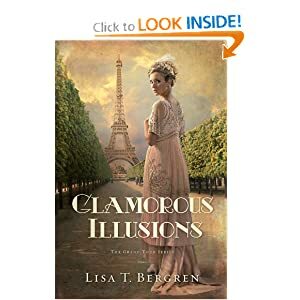 Glamorous Illusions is about a young woman taking the "Grand Tour" of Europe with siblings she didn't know she had a few weeks ago. 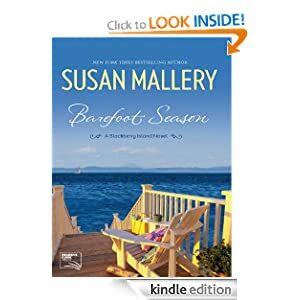 Barefoot Summer is about a veteran returned from war. Mary Magdelene is one of those books that I wished I could have liked more than I did; and I know there are those who really enjoyed it. I've heard of people my age (early 40-50s) being called the "sandwich" generation--we are caring for our children and for aging parents. Unfortunately, after the "sandwich" years come the "goodbye" years. Our parents die and our kids move out and start families of their own. It is an expected part of life, but it doesn't mean we have to like it. Cottage by the Sea is a short novel (only 248 pages) about Erin saying goodbye to her father. Her mother died years ago and sometime thereafter, her father married Delores and moved from California to Oregon, saying there was nothing left for him in California. Erin takes offense at that comment and blames the move on his new wife. She never visits until one day Delores calls to tell her that her father had a small stroke. She rushes up there only to find that the stroke was mild and that her father had mostly recovered. While charmed by the house, she is not charmed by Delores. Her father encourages her to visit again and to bring the family. Erin says she and her husband will one day, but that the kids are too big. She does not return until her father is dying and most of the book takes place during that process. During that process she learns to let go of him and of past hurts. She takes the time to enjoy life as it is instead of moving ahead at a break-neck speed. She learns that things are not always what they appear to be. One think I liked about the book was that the heroine is my age. With a penchant for romance novels, all too often I spend my time reading about women half my age, going through things that I've been done with for years. Having spent part of last week visiting colleges with my daughter, I realize that my nest is going to start emptying soon. Having spent last weekend at my Dad's, I realize that's not going to last much longer either. While our society has gotten much more friendly to working moms that what it once was, I wonder how many requests for FMLA leave to care for a dying parent are met with raised eyebrows? While daycare for children is accessible, and most kids develop according to a predictable schedule, with dying parents, the timetable isn't so clear. Should you take off now, or wait a few weeks (or months)? Do you spend time with them while they are still able to appreciate your company (and maybe run out of leave, or money before the ends comes), or do you wait until the end may be only hours away? The book is Christian fiction. As Erin spends the days caring for her father, away from her husband and her job, she has time to reflect on scripture and she does. Those who don't like religion in their books will find this one too religious to suit them. For those of faith, I think Erin's reactions are normal; death causes us to reflect on what is follow this world, and the slower pace of life in the cottage by the sea gives time for the reflection we often don't do as we rush from work to school to friends to the gym and then drop into the church on Sunday. I'd like to thank the publisher for providing a complimentary review copy. I was not obligated to write a positive review but I'm pleased to give this book a B. When offered the chance to participate in the blog tour (click here to see other stops listed), I accepted because the description of the book looked interesting. When I got the book and saw the cover, it was an immediate turn-off. I've had this book for three weeks and have not wanted to read it. However, my due date for the tour was approaching and I had the day off, so today (Wednesday) was the day. I figured I'd give it 50 pages and then write a DNF review about a book that was too sappy for words and move on to the next one. Then I noticed I was on page 85 and decided that judging a book by its cover wasn't always good idea. After her papa becomes too ill to work the family farm (which is going to be lost to foreclosure due to bad weather for too long anyway), Cora learns that her real father is not her papa and that her real father wishes to acknowledge her and send her on a grand tour,along with his children. He wants them all to learn about the history and culture of Europe, but also other lessons. His other children, for some reason, aren't thrilled to meet her. As they, and the children of their father's business partner travel under the guidance of a "bear" and his assistant (who just happens to be very attracted to Cora) they see the sights and attend fancy parties. Cora has three men after her in this book and at the end she has not picked any of them. One she does not trust or particularly like, one isn't supposed to court her and the third is a Frenchman and she does not plan to remain in France. Actually, that's my main complaint about the book--there was no real resolution of anything. There was a climatic scene which resolved with Cora and her half siblings all choosing to stick together and continue the tour, but the bad guy is still out there and she didn't pick a guy. There are to be other books in the series but I would have preferred them to focus on other characters and for this book to have more of a resolution as far as Cora was concerned. 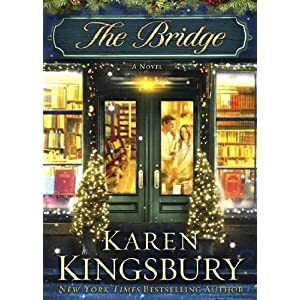 The book is Christian fiction and Cora prays, her father mentions making peace with his maker and at one point Cora and the guide attend Compline. I'd like to thank Litfuse for inviting me to participate in this tour and for providing a complimentary review copy. Grade: B. Have you ever just wanted to go home? To just go back where you know life is good, to where you were happy? 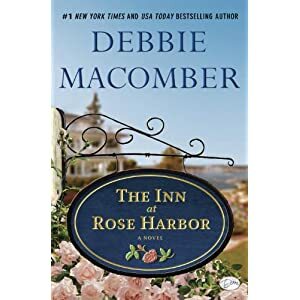 Well, Michelle in this book wishes she could do that, but realizes in more ways than one that she can't--her mom is dead, there was a reason she left in the first place, and all is not well with the inn. Michelle herself is suffering from physical and psychological ills as a result of her military service. Getting "home" and finding that things have changed, and not for the better, is just one more thing to overcome. Carly has been at the inn since Michelle left and had been under the impression that she would end up owning part of it. After Michelle's mom died, she learned that the inn had belonged to Michelle all along. As these two women, who used to be best friends, are more or less forced to work together, they learn to deal with their pasts and work toward the future they want. Of course that future includes guys for both girls. I enjoyed the story. Though the romances were not major parts of the story,I was disappointed there was not more development of relationships shown. In both cases, I didn't really think I knew why these people liked each other. Both couples end up in bed before marriage and while the language is more flowery than descriptive, we are in the room with them when it happens. Who was Mary Magdalene? Even those of faith cannot agree about which parts she plays in scripture, except that she was the apostle to the apostles. 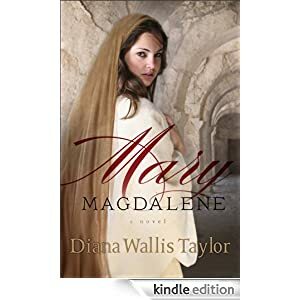 Diana Wallis Taylor imagines how life may have started for Mary, and how she met Jesus. She tells a story full of details of life in first century Palestine. However, it was not a story that engaged me and I gave it up. It was not a badly written book and I'm sure there are those who will enjoy it. I'd like to thank the publisher for providing a complimentary review copy. If you'd like a copy, click the link above, as the book is available June 2012 at your favorite bookseller from Revell, a division of Baker Publishing Group. I'd like to wish all the dads happy Father's Day. This post is up a little later than usual because my family celebrated Father's Day today; my brother and sister who live in Georgia joined us at my dad and brother's (their back yards meet) house today and we had boiled shrimp and other goodies. Tomorrow my older daughter and I are heading out on a road trip around the state to tour colleges--five colleges in three days if things go right. Prayers for safety would be appreciated. I published three book reviews this week. Waiting for Sunrise is the story of a woman with a past--and a husband who loves her. 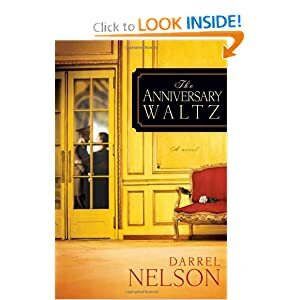 Anniversary Waltz is a romance set just after WWII. 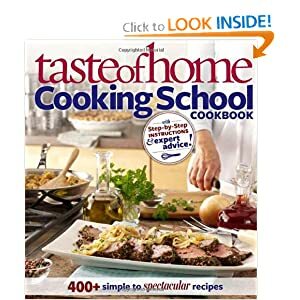 If good food is your thing, check out the Taste of Home Cooking School Cookbook. One thing I like about the new Blogger interface is the fact that it keeps track of the number of times individual posts are accessed. As I understand it, if you are reading this post because you check my blog every day and are able to scroll through multiple posts, you are not "counted" as having read this post. If, however, you are reading this because you followed the Top Ten Tuesday link, or whatever other direct link to this post, or if you found it via search engine and came right here, then you are counted as having read it. In general, my most popular posts are meme posts. I usually to In My Mailbox and It's Monday, What Are You Reading on Monday, and I try to do Top Ten Tuesday. On Sunday, I host Sunday Snippets--A Catholic Carnival (link takes you to this week's post). What about my content post? What gets the most pageviews? So what does that tell me? First of all, it tells me that the longer posts are up, the greater the chance that someone has read them. Secondly, it tells me that it helps if someone besides me is promoting my posts. Sinner is one of my popular posts this month--and it just so happens that the bookstore from which I got it is promoting it on their blog, with a teaser from and link to my blog. Come My Beloved and Interview with Ellen Hrkach have been extensively promoted by Ellen. Wedding Dress and The Priest and the Peaches were parts of blog tours. Third, I think it tells me that Sunday Snippets attracts Catholic readers,who then read my posts about Catholic books. Fourth, sometimes someone else's bad luck is your good luck. After yesterday's bad news, I got a bunch of folks reading My Story My Song about Robin Robert's mom. Waiting for Sunrise is another winner by Eva Marie Everson. The book begins in 1964 as Patsy and her husband go to Cedar Key. It then flashes back to 1946 and proceeds chronologically until it catches up with the opening scene, which is repeated later in the book. Patsy lived with her mother and her abusive step-father until one day her mother put her on a bus and sent her to live with the adoptive family of a brother she didn't know she had. While the new family was good to her, she always wondered why her mother rejected her. Years later, after she herself becomes a mother something happened that made her husband decide to search for her family. My favorite character in the book was her husband, Gilbert. He loved her, he waited for her,he courted her, he won her heart,and he stuck by her when times got rough. At one point Pasty wondered how God could have let her be put on that bus,and Gilbert reminds her that not only was she on that bus, he was too. 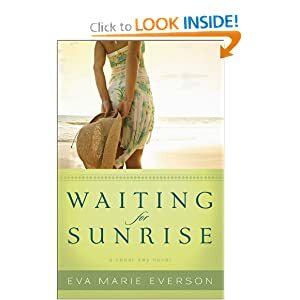 While published by a Christian publisher and full of Christian themes like forgiveness and redemption, Waiting for Sunrise is not a terribly religious book and I think most fans of women's fiction would like it. I'd like to thank the publisher for providing a complimentary review copy. Grade: B+. Eva Marie Everson is giving away a Kindle Fire to promote this book. Enter here. I used to love to listen to my grandparents tell stories of the olden days, and this is the story of the olden days for one couple. Since the book starts with them dancing at their 60th anniversary, the ending was never really in doubt--it was the story of how they got there, not the story of where they were going. The story is full of references to post-war life including young adults who had to grow up early between the Depression and the War. A major event in this story happens as part of the wedding revelry--the shivaree. My grandfather said he and my grandmother were shivareed. They went home together for the first time on their wedding night, and their friends showed up at the house to make lots of noise and celebrate. In this book the shivaree involves friends kidnapping (in good fun) the bride. I enjoyed this sweet "how we met" story and give it a B.